The Best Me I Can Be: I'm a Good Friend! Good friends look out for one another. Good friends know when a kind word is needed. Good friends don’t tease. Good friends share. 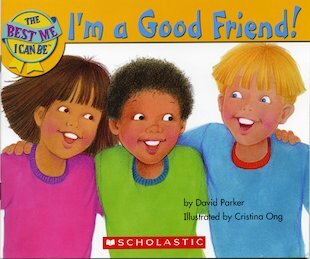 Teach your youngster the all-important life lesson of how to be a perfect friend with this cute, charming first manners book.